Returning to Culprit with his third EP of original material is one of the brightest American production talents, Chris Manik aka M A N I K with ‘Ten Times Ten’. For the third October running, M A N I K delivers an EP of assured musicality, profoundly original and accomplished. The young producer’s growth in confidence and sonic sophistication has mirrored that of the label as both continue to develop their distinct musical language, simultaneously expanding and deepening their respective palettes. 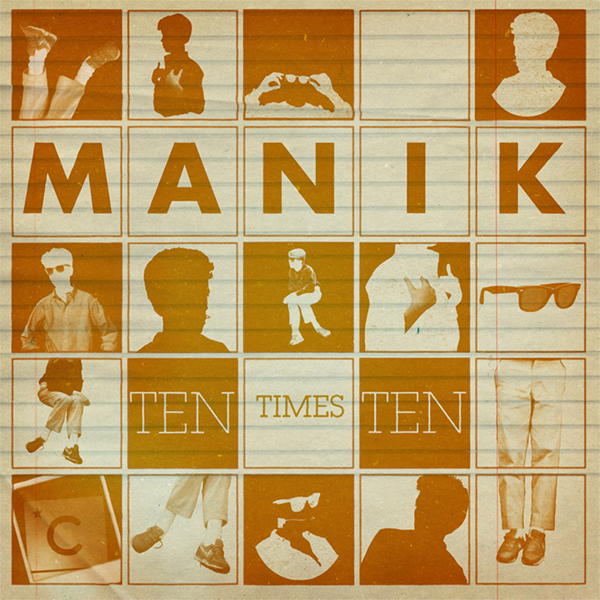 ‘Ten Times Ten’ is certain to cement M A N I K’s burgeoning reputation as a distinct voice and an defining influence on the new generation of producers taking shape globally. ‘Ten Time Ten’ sees the producer exploring some of his trademark sounds while ceaselessly moving forward in search of the new. Each of the four songs sets a mood and tone of its own, from the deep melodic nostalgia of ‘Breakfast Club’ to the subtle breakbeat of the electro-funk work-out that is ‘Heartbeat’ and the gritty strut of the synth squelch-driven ‘Wave Eclectic’ giving way to M A N I K’s ballsy but completely justified and immaculately pulled off dip into pure Urban Soul territory with ‘These Days’ that showcases the producer’s new favourite original weapon – his own voice. All unified by a shimmering quality of production fast becoming typical of Chris’ music, equal parts retro and forward-thinking, edgy, urbane yet retaining its disarming openness and, even, sweetness. M A N I K’s ‘Ten Times Ten’ shows a talented producer and maturing label in full flight, defining each other’s sensibilities, pushing one another in new and exciting directions while staying true to their credo. ‘Ten Times Ten’ makes M A N I K the LA- based label’s most frequent competitor and the one who will continue to define its sound.